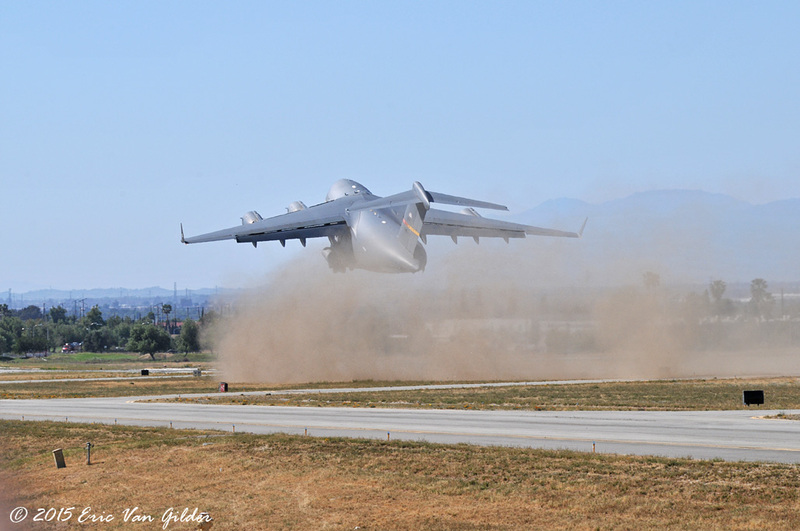 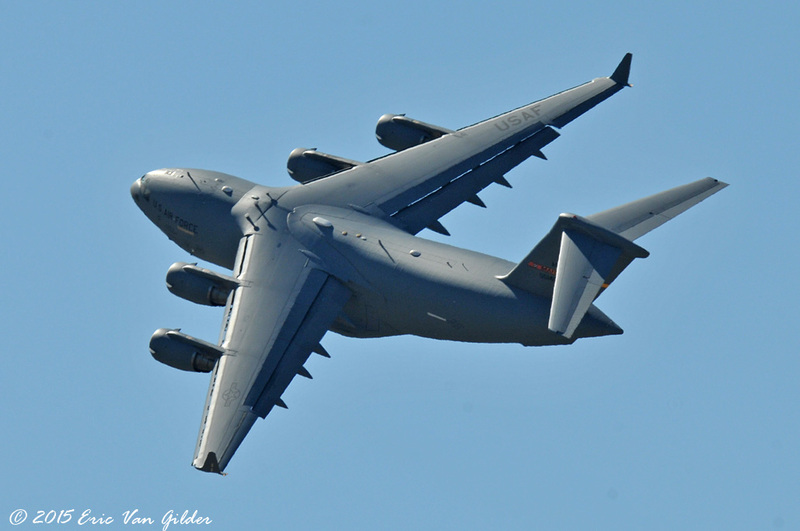 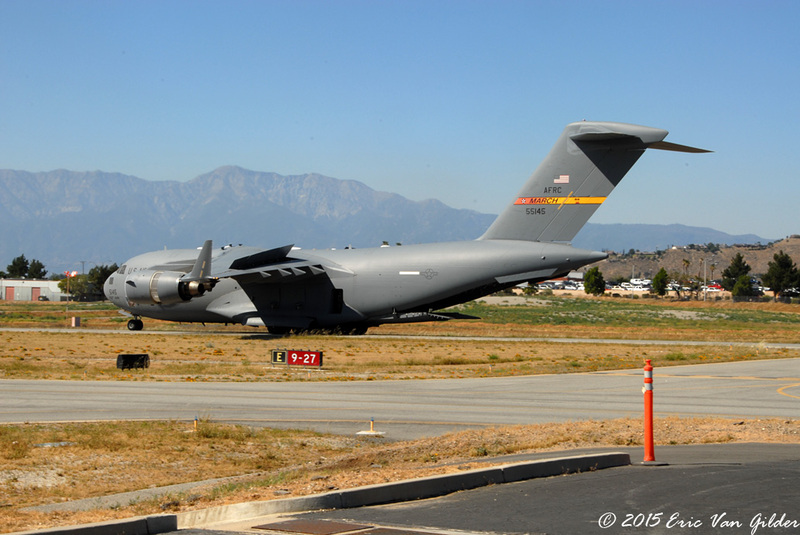 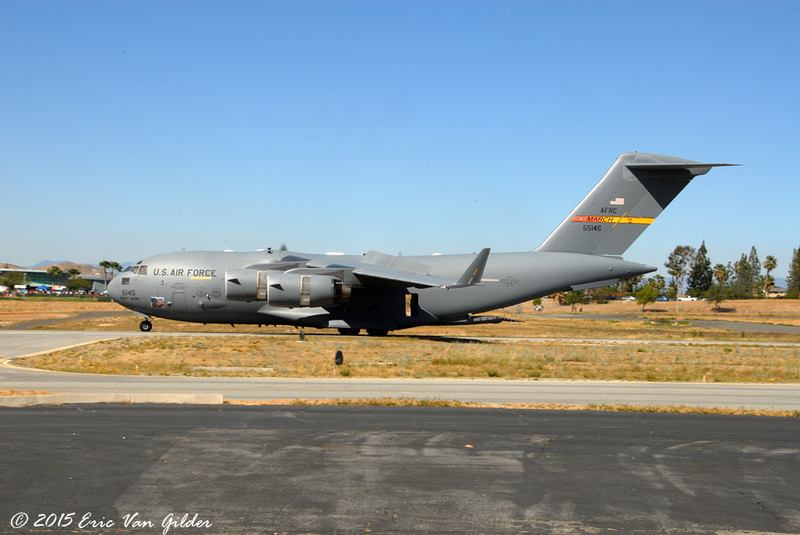 The C-17 Globemaster has fulfilled its role as a cargo transport plane exceptionally well. 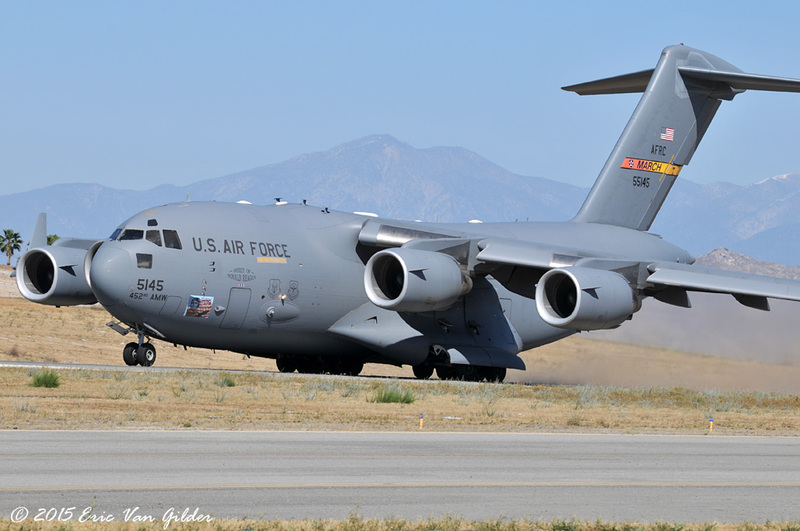 Over 1 million operational hours have been toiled by the C-17 supporting military operations and humanitarian missions. 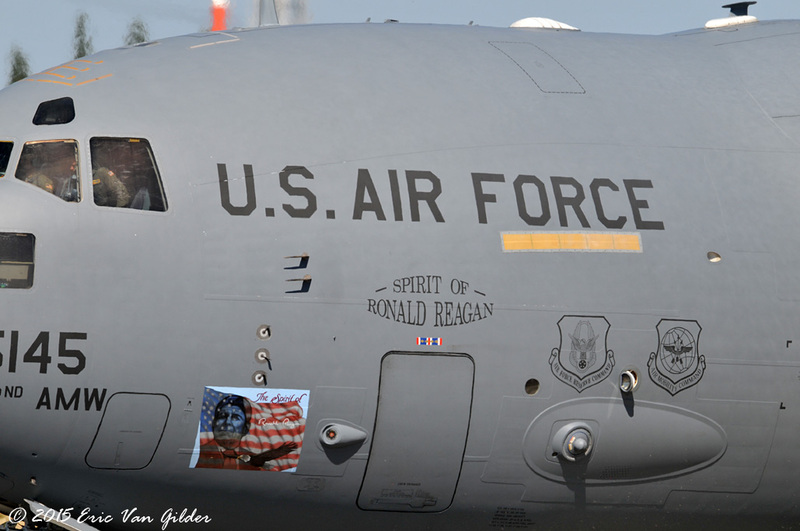 This aircraft is based at March ARB. 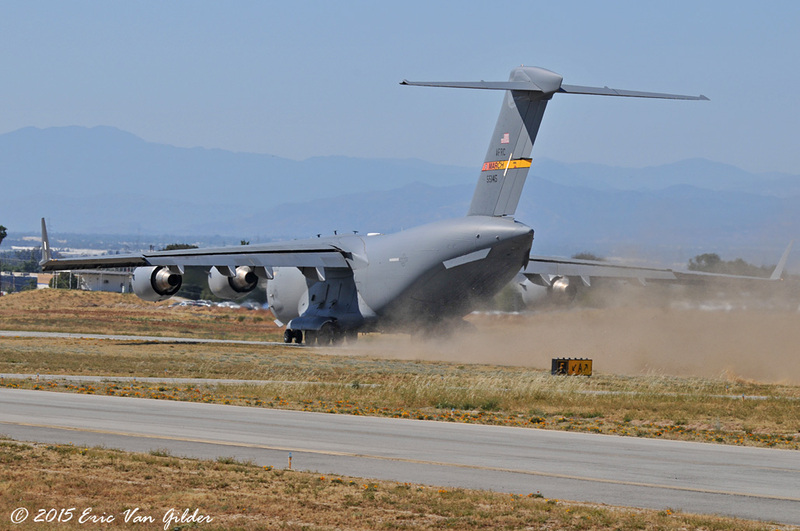 It was on static display, but we were treated to it backing all the way down the runway before taking off to return to March.